At its big event on October 6, Microsoft unveiled a pair of flagship smartphones as well as a more affordable handset. 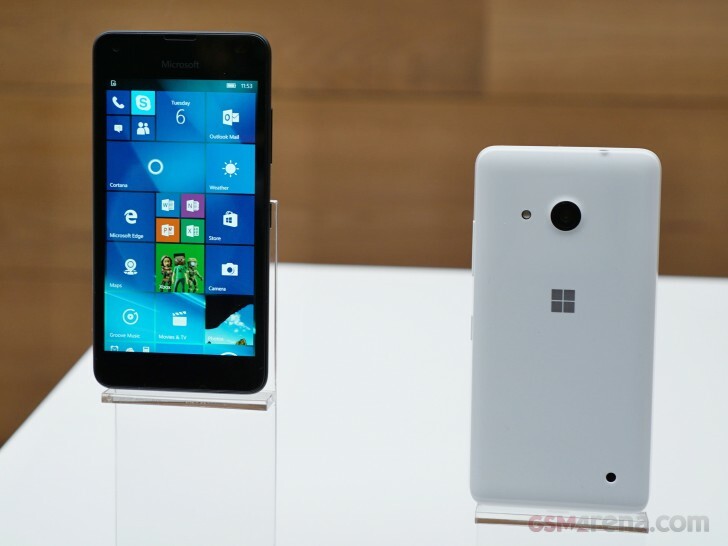 That latter model is the Lumia 550, and it's the one that should bring Windows 10 Mobile to the masses. It turns out it may start doing that in the very near future, since it's already up for pre-order in France. Amazon's local arm is listing the device in white and black, priced at €129.90. Unfortunately a shipping date isn't mentioned yet, but the retailer does say that the phone will be available soon. We assume the Lumia 550 will slowly be put up for pre-order in more European countries in the following days, and hopefully its release is actually near. The Microsoft Lumia 550 has a 4.7-inch 720p touchscreen, a 5 MP rear camera with LED flash, a 2 MP selfie shooter, the Qualcomm Snapdragon 210 chipset at the helm (with a 1.1 GHz quad-core Cortex-A7 CPU), 1GB of RAM, 8GB of expandable storage, and a 2,100 mAh battery. Laughable specs for a 2015 phone, even at that price. Absolute entry SoC, just 1GB of RAM, only 5MP camera, only 8GB of Storage, they should be giving those phones away.